School Library Journal carried an article by Rocco Staino on "Illustrators Join the Fight to Save School Libraries". The article is based on an interview with CSLA member Marie Slim. 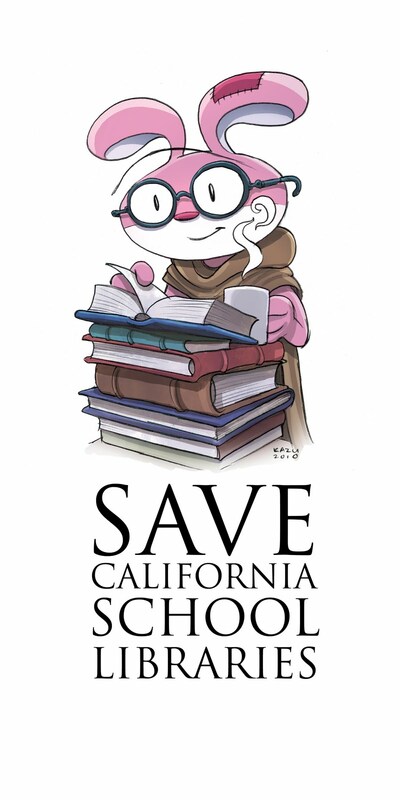 Marie is a Teacher Librarian at Troy High School in Fullerton, CA who has created a School Library Advocacy wiki with a great number of outstanding images from illustrators. Kudos to Marie and the illustrators who have generously given their designs in support of school libraries.